Pitcher’s Pond Golf Course Incorporated was formed in 1991 as a result of the vision of a group of volunteers who began working on the development back in the early 1980s. The corporation is set up as a not-for-profit, social enterprise. Its purpose is to provide jobs to local area residents and students and to draw tourists to the area. It is directed by a volunteer Board of Directors which includes one position from the Town of Whiteway, and is operated by anywhere from 10 to 15 employees per year from student government grants. The corporation has received funding support from various levels of government over the years. The course opened in July of 2005 and 8,500 rounds of golf were played that first year, even though there was no grass! 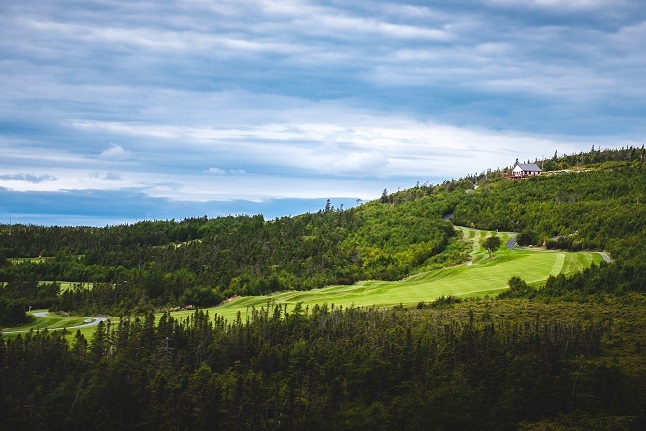 The Course is now touted as one of the best in the province – and it has grass! There is a fully operational clubhouse, a large maintenance building and a state-of-the-art watering system. In 2009 Pitcher’s Pond Golf Course approached CBDC Trinity Conception to consider financing some equipment. There has been a strong relationship between the two of our organizations since that time. CBDC Trinity Conception is very pleased to be working with this social enterprise and we look forward to watching and partnering as the course continues to be developed.